The Instructors of this course are a wonderful combination of practicing professional permaculture designers and educators from leading permaculture design groups in the Northeastern USA. 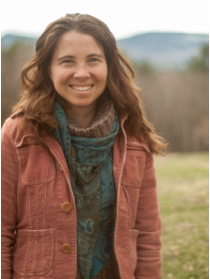 ​Your Lead Course Instructor is Kay Aihla McGrengahan Cafasso, Permaculture Designer and Director of Sowing Solutions. Kay is a certified permaculture designer practicing the thoughtful design of ecological landscapes. She is also a certified design course instructor who has led over 20 Permaculture Design Certification Courses (PDC’s) to date, and has certified over 500 graduates, while consciously designing and creating supportive learning environments. After documenting ecological design applications in homes and landscapes in arid, temperate and tropical climates worldwide, Kay founded Sowing Solutions Permaculture Design & Education in Western MA, offering ecological garden design and permaculture site planning and consultation services for homeowners and land stewards. She has taught PDC's alongside Geoff Lawton of the Permaculture Research Institute based out of Australia; Kay has taught PDC's in Hawaii with Living Mandala, as well as in the Hudson Valley of New York for the Omega Institute, in the Finger Lakes region of NY for the Finger Lakes Permaculture Institute, and in Massachusetts for Living Routes Study Abroad in EcoVillages. She has inspired the inclusion of permaculture training at educational centers such as Omega Institute and at Greenfield Community College. Kay has worked as teaching staff for Permaculture Teacher Training Courses to guide others in 'Teaching Permaculture Creatively' along with Dave Jacke of Dynamics Ecological Design and Jono Neiger of Regenerative Design Group. Kay is also a natural builder, with certificates in Solar Home Design and Natural Building Construction, and has many years of professional experience specializing in earth plasters and natural finishes for straw bale and other natural buildings in the southwestern and northeastern US, as well as in Europe. The design of this course focuses on whole person learning, supportive to all kinds of learners (auditory, visual, kinaesthetic) and weaving in many opportunities for student participation, so that each person can take an active and effective role in their learning. Her teaching style is one that is grounded in the permaculture principles and whole systems thinking. Kay's interests are also in contemplative studies, healing through mindfulness and somatic presence practices, and she is often exploring the bridges between meditation and gardening. She has a passion for creating contemplative and healing outdoor spaces. Kay practices what she teaches: thoughtful and wholistic design of landscapes, agriculture, dwellings, communities, and learning environments. Keith combines his professional training in environmental and Permaculture design with the hands-on experience of a farmer, homesteader, and builder to help communities and individuals create new, symbiotic relationships with their homes and place. Since 2002, he has dedicated his deep interest in applied ecology to exploring patterns in landscape use that can both rebuild ecosystem resilience and meet people’s needs today. An avid teacher and skilled designer, Keith has worked with diverse groups from Latino farmers creating an urban farm to Smith College students engaged in a neighborhood wide infrastructure redesign. At the Conway School of Landscape Design, he teaches Master’s candidates to apply digital tools such as GIS, CAD, and graphic design software to environmental design. Keith is a certified Permaculture Designer, holds a B.S. in Environmental Design from the Department of Landscape Architecture and Regional Planning at UMass-Amherst, and is a founding partner of the Regenerative Design Group, a leading ecological design firm. Llani is passionate about growing her own food and teaching people how to feed themselves.. Her experience is built upon years of living and working on small organic farms, including Hawthorne Valley Farm, where she practiced and taught small-scale vegetable production, as well as at SIrius Community where she is one of the lead growers for the local CSA, and numerous agricultural sites in South America. Increasingly passionate about home-scale food production, Llani studied permaculture and became a certified permaculture teacher in 2010, studying under Dave Jacke of Dynamics Ecological Design. She currently runs a business called Broadfork Permaculture, structured as a cooperative model, that works with clients, installing edible forest gardens and perennial landscapes. Llani has much wisdom to share about life in intentional communities, having spent her childhood years living at a well known ecovillage, as well as much of her adult life coordinating and managing the food systems for residents and neighbors of the community. Inspired by the likes of Henry Thoreau, Walt Whitman, then Tom Brown Jr., Walker Korby realised that he had found his people we he discovered Wilderness Awareness School doing programs at his high school in New Jersey, USA in the mid nineties. He got involved through illustrating for the school and for the Kamana Naturalist Training program, and after college followed them out to Washington state to became the first Outreach Coordinator. He came back to the East Coast where he still resides, in Massachusetts, to teach children’s nature connection programs at several schools. Walker was also an Adult Expeditions Instructor for Wilderness Awareness School for their wolf tracking programs, and has been staffing the Art of Mentoring in the USA on and off since it’s inception. Most recently Walker has been coordinating the Teen Rendezvous at the Art of Mentoring in Vermont. His passion for peacemaking inspired by Chief Jake Swamp, a Mohawk peacemaker, has been fueled by his work in the Mankind Project and training in mediation. Walker brings with him the unique perspective of being immersed in the Art of Mentoring teachings for half of his life as well as his ability to integrate them into his own community. During her undergraduate studies in Environmental Sustainability, Meghan focused on food systems and design which led her to completing a permaculture design certification at Sirius EcoVillage, where she now resides. Her connection to yoga grew from her studies in sustainability and permaculture, during which she realized that global problems are just as much cultural as ecological. She received her yoga teacher training certificate from Dhyana Yoga, Philadelphia, and teaches both vinyasa and yin yoga. Through the modalities of permaculture design, herbalism, ayurveda, and yoga she synthesizes principles of ecology with focus on the “inner landscape”, seeing it as a leverage point for not only vibrant health, but outer-system change. 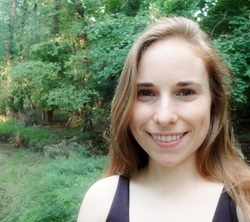 Meghan is currently working toward a MA in Contemplative Education from Naropa University, believing that the way we educate about sustainability should reflect the principles of ecology that we teach– in the environment, body, and mind. 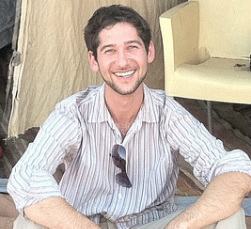 Ryan Harb, MS, LEED AP is a certified permaculture designer and instructor, sustainable business consultant, expert marketing strategist, and founder of Beyond Sustainability Consulting. He received his BBA in Business Management and was the first person in the nation to receive an M.S. in Green Building. In 2010, Harb became the first Sustainability Manager for UMass Amherst Auxiliary Enterprises. His main accomplishment was developing one of the first public university permaculture gardens in the nation that supplies locally grown produce and hands-on sustainability education to the UMass campus and local community. In just a few months, UMass Permaculture went viral and became a premier sustainability program within higher education In 2012, Harb was named a "White House Campus Champion of Change" and was invited to the White House to meet and speak alongside President Barack Obama. His program was named the top university program in the country that's changing the world for the better. Harb has spoken internationally about sustainable businesses and regenerating underused or abused landscapes into edible, educational, and highly productive ecosystems. He specializes in developing 'beyond sustainability' demonstration projects for institutions that are committed to environmental, social, economic and cultural change. Connor Stedman is an ecological designer, farm planner, naturalist, and educator based in New York's Hudson River Valley. As lead designer at AppleSeed Permaculture, Connor specializes in applying carbon farming practices in the working landscape and helping farms and communities prepare for and adapt to climate change. He is a lead organizer and facilitator of Vermont Wilderness School's Art of Mentoring training and a Professional Affiliate instructor for the University of Vermont's Leadership for Sustainability M.S. program. Connor holds an M.S. in Ecological Planning from UVM.